I was put on review in January, the doc wanted a copy of my 12 grade IEPS( I was in a special education class for math in high school). I called APD the other day, the lady told me it looks like from what it says on the computer that Iam not going to be cleared to switch everything over to my newer exam,try again. When I talk to my investigator about it,he said I had to wait for a yes or no off this review to process off my newer exam . So who knows , think I will try down south God only knows how long this could play out. rather quick for candidates and the quality of life is much better. There are other LE agencies who will consider you for employment and not penalize you because of minor blemishes. You mean property taxes arent 17k a year, Electric isnt 500 a month, etc? I recently did paperwork for my parents- now i dont wonder why their so bitter with NY. This is why retired people are leaving NY in droves. Even young people as well in search of a better lifestyle. Service industry business will be unable to pay the new NYS minimum wage of $15 per hour--so either they'll raise consumer prices or shut down completely. Thus sending marginally skilled service workers to the unemployment line or the welfare rolls. Basically, they are looking for perfection in candidates. funny thing is, there were plenty of people i met during academy that made me wonder how they made it past any part of the application process. edit: cause i can't spell. Phase One is completing the hiring process. Phase Two evaluates job performance known as the probationary period. I wonder if you keep consistent employment going forward for x amount of years and remain active in NYPD AUX, if it will help your situation. Then again as others have said before, by not fighting a DQ it will affect you going forward but then again by fighting and winning doesn't mean you will be hired. Background disqualifications are a tough burden to overcome, and almost all the time are held on appeal. I wouldn't bother spending the money on a lawyer. I think your best bet is to keep steady employment for a few years, take the test, and try again. They are tough- in that case, he does not have any long term employment to water down the negatives. If i were him id appeal until the point in which he see's on paper, what NYPD has seen. Sorry to say but negative character disqualifications are next to impossible to overturn. The court system can not offer you any relief since they will not substitute their judgement for the expertise of the agency in selecting personnel. Remember this type of public service employment is deemed to be that of a sensitive nature. 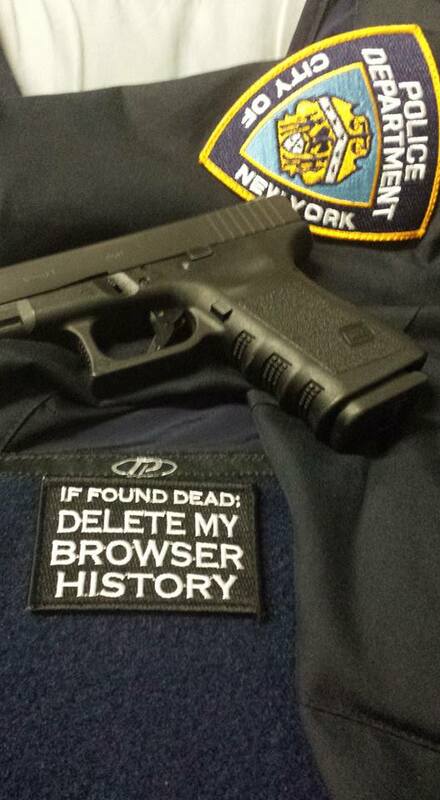 Unfortunately, NYPD is not interested in your side of the story regarding your previous employment terminations. They are the sole judges of the material facts. The NYPD auxiliary police acceptance is a horse of a different color. You are essentially a private citizen wearing a blue uniform. You are UNARMED while on patrol and you act as the "eyes and ears" of the NYPD in a proactive stance. You are neither a police nor peace officer. Basically, you are a civil defense volunteer. At this point; you would be wise to seek employment with another LE agency as they might review your entire "record of a whole" in a positive light. Good Luck! Last edited by CountyCorrectionOfficer; 08-25-2016, 03:17 PM. He's not going to be able to see the background investigation data collected by NYPD. That won't help him. His previously sealed background investigation file will be reviewed. Once you have been previously disqualified it is the end of the trail for any future NYPD employment. Thats not entirely true, I know 2 guys that have been previously DQ'd took the test over again, and the psychologists saw that they "matured" more. So I wouldn't say every DQ would be the complete end for everyone, the vast majority yes. But there are sometimes people who would've been good P.O's but got the short end of the stick. There are currently 7375 users online. 251 members and 7124 guests.